For those of you that have taken classes from me, it is no secret, I LOVE bullion embroidery! Every single crazy quilt project I do includes some type of bullion embroidery. I thought I would write this post so that you would be encouraged to add a little bullion pizzazz to your quilts! Pictured above is a bullion embroidered pansy that I did several years ago, and of course, I thought it was so much fun! Here I used bullion's to make a little bunny...pink of course! Bullion embroidered roses were used here to create a little scene, adding a bee and a bee hive. 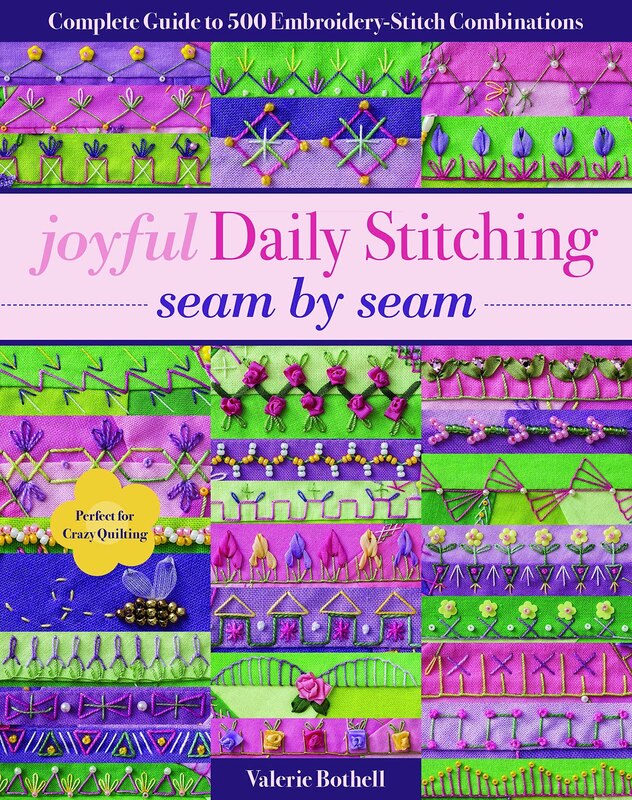 Even long seams look great with bullion roses! I even have been know to embellish a spider web with a little bullion rose. In the two photo's above a bullion was used to attach a button. I love using butterfly shaped mother of pearl buttons and attaching them with a bullion! 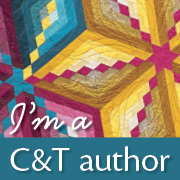 Here is a close up shot of the crazy quilt I did for our book, Quilting...Just a Little Bit Crazy. Little bullion embroidered rose buds can be used to dress up a fan blade. You can also use two different colors when making your bullion's. It gives them a great 3-D realistic look. I also love to tat, so I thought it would be fun to combine the two together. This pic show how you can use bullion roses in different configurations. Hopefully I have inspired you to try bullion embroidery on your quilts. These are just a few of the countless ideas that you can use to incorporate into a project. 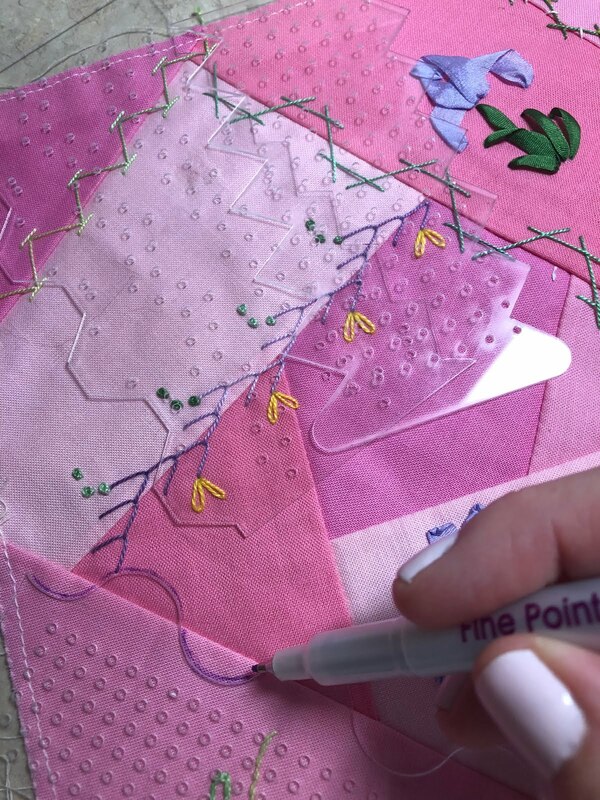 I would love to hear from you about the different ways you use bullion embroidery on your crazy quilts.